Whether you are returning to your vacation home, moving into a new apartment, or have just purchased a house, let Viviane's Cleaning & Restoration Inc welcome you home! You deserve a fresh, pristine living environment that is sparkling clean and awaiting your personal touches. Rest assured that Viviane's Cleaning & Restoration Inc will get rid of the old grit and grime. You can focus on the things most important to you and enjoy your home! Just call Viviane's Cleaning & Restoration Inc today for a fast, free quote and we'll eliminate your cleaning hassles. We'll provide you with a fair and reasonable estimate for a one time deep cleaning of your new space. From ceiling to floor and everything in between, your home will be clean and welcoming once again. 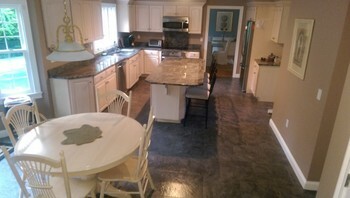 We'll remove cobwebs and dust, shine your appliances, sanitize your kitchen and bathrooms and make your floors sparkle. In addition, ask about our affordable and detailed regular cleanings as well. Once we get your home clean, we'll be happy to keep it there for you! Whether you are preparing your vacation home for its next tenant or are a renter who must clean up in order to have your deposit returned, Viviane's Cleaning & Restoration Inc can handle your move out cleaning services. We offer the full spectrum of cleaning services, and can customize your move out cleaning to provide the level of thoroughness that you require. From a basic move out cleaning to a deep cleaning that leaves appliances gleaming and floors sparkling, your perfect move out cleaning is just a phone call away.